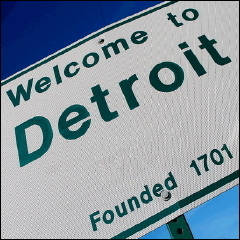 We've heard a lot about Detroit lately, not much of it very promising. Public Radio Talent Quest Winner Al Letson moves beyond the headlines in this electric episode of State of the Re:Union — hear from performance, media, and even urban gardening activists trying to turn Detroit around. Al also brings his State of the Re:Union style to his newest show from Jacksonville, Florida and Washington, DC.